Feng Shui Classes & Workshops: Bring me into your home or small business for a Feng Shui Party/Workshop. I will help you overlay the bagua map over your floor plan and give a basic feng shui for prosperity or love workshop for you and your guests. Try something different to bring clients to your small business or a girls night with some wine and hors d’oeuvres and a little Feng Shui. 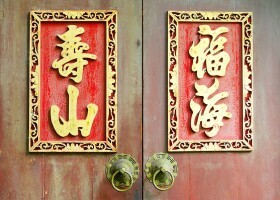 I will also give the host Feng Shui recommendations for their home or business for having me. Vision Board Workshop: I will come to your home, clubhouse or other venue and give a workshop that is all about creating a vision board with Feng Shui principles. Everyone will create a vision board during the workshop. Email me for more information and date booking.